Visit Lima to see the Plaza Mayor (Plaza de Armas). 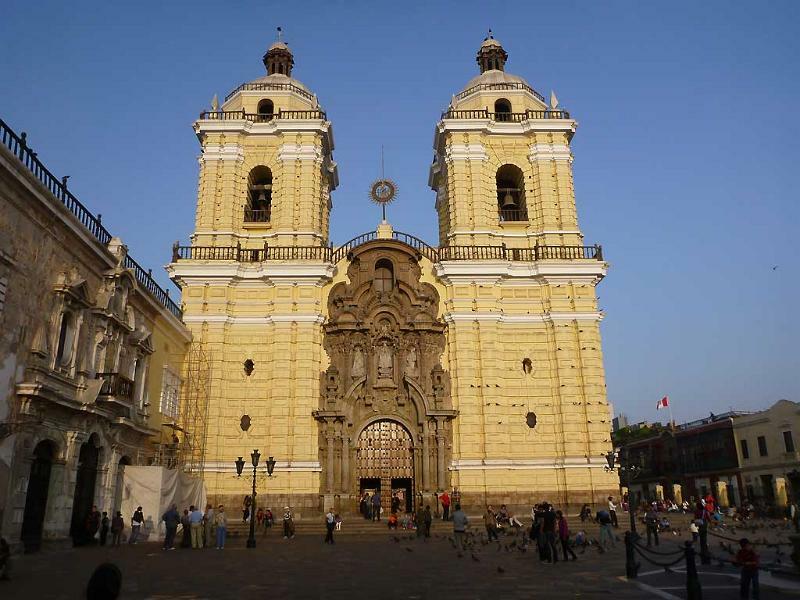 It’s the historical center of Lima. 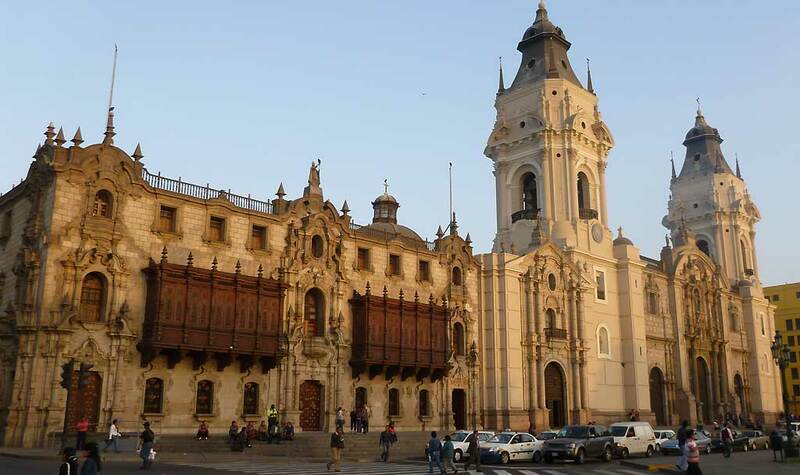 The plaza includes the Government Palace, Cathedral, the Archbishop’s Palace, the Municipal Palace and Casa del Oidor. 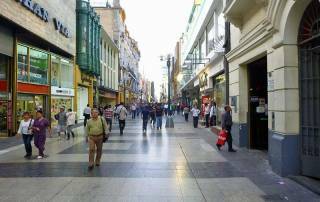 Walk along the city’s pedestrian only street called Jiron de la Union. 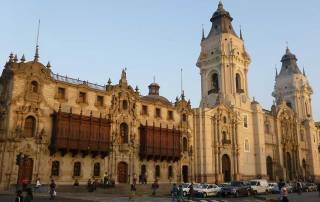 It takes you from Plaza San Martin to La Merced and then Plaza Mayor. 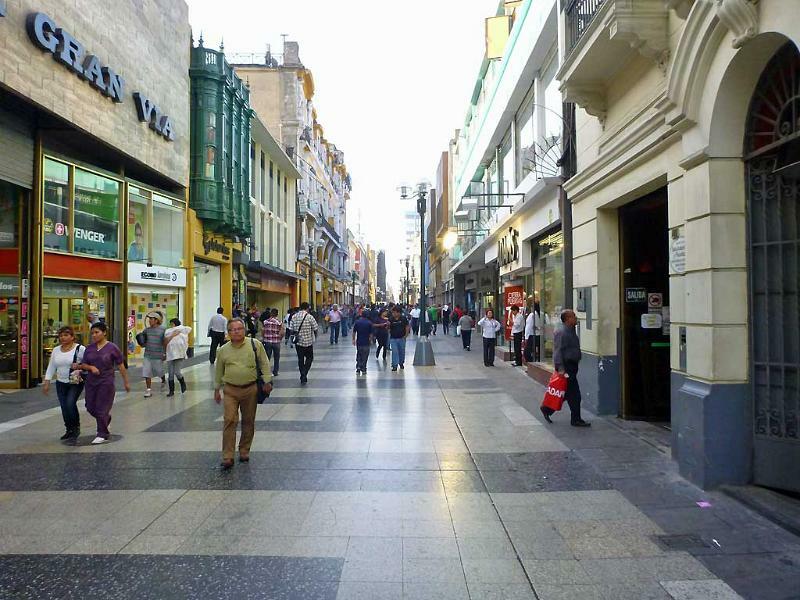 This is a major shopping district. 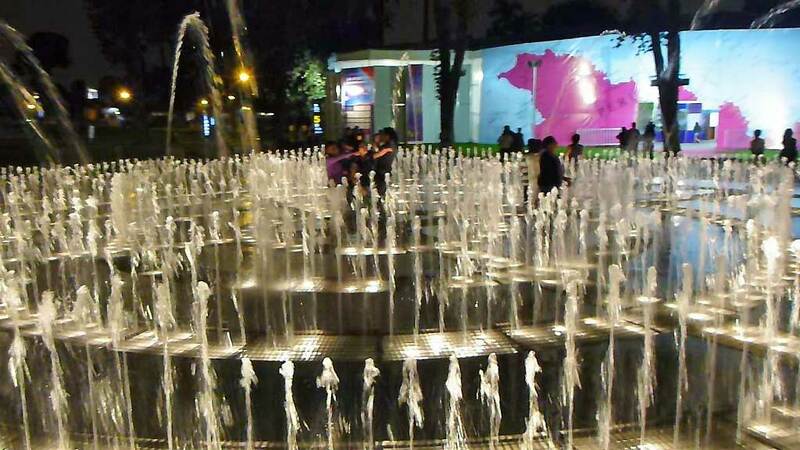 Plaza Simon Bolivar – about 4 blocks east of Plaza Mayors, the Plaza Bolivar includes the (Inquisition Museum and the Congress. 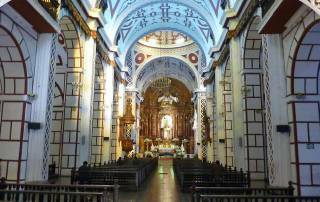 Monastery of San Francisco – two block northeast of Plaza Mayor, see the fresco of the Last Supper where the disciples dine on guinea pig. Also visit the monastery’s catacombs. Basilica de San Pedro and Torre Tagle Palace (a Spanish baroque structure built in the early 1700s) are located beside each other and a couple blocks southeast of the Plaza Mayor. Larcomar is known for its cliff edge ocean view dining and its shopping mall. 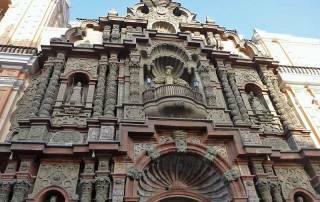 The areas of Miraflores & San Isidro have lovely homes. Drive along Malecon de la Reserva for more waterfront views and 6 miles of oceanfront parks. Mangos Cafe Restaurant in Larcomar at the shopping center. Restaurant Huaca Pucllana – regional dishes served at the ruins of Huaca Pucllana. 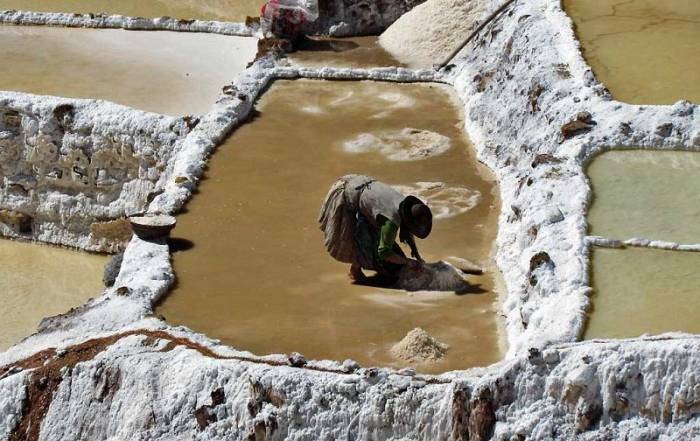 La Mar – known for its ceviche, which is raw fish, onions and chili peppers marinated in lime. Try a pisco sour – a grape brandy and the national drink. Near the Plaza Mayor on Jiron de la Union Street you can find vendors selling rice with milk, beef heart and chorizo at prices around $1 US. JW Marriott Hotel, in Larcomar with ocean views. Hotel Mariel – located two blocks from Parque Kennedy. 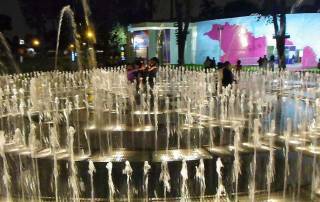 Magic Water Circuit at Park of the Reserve has evening performances and lighted fountains. It’s open Wednesday to Sunday evenings. The cost is only a few dollars. 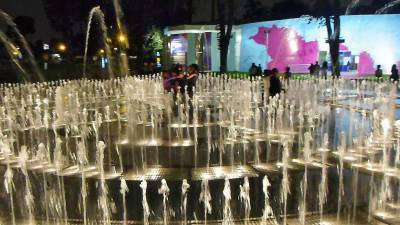 There are 13 fountains. There’s a strong likelihood that you will get wet, especially when you pass through the Tunnel of Surprises. 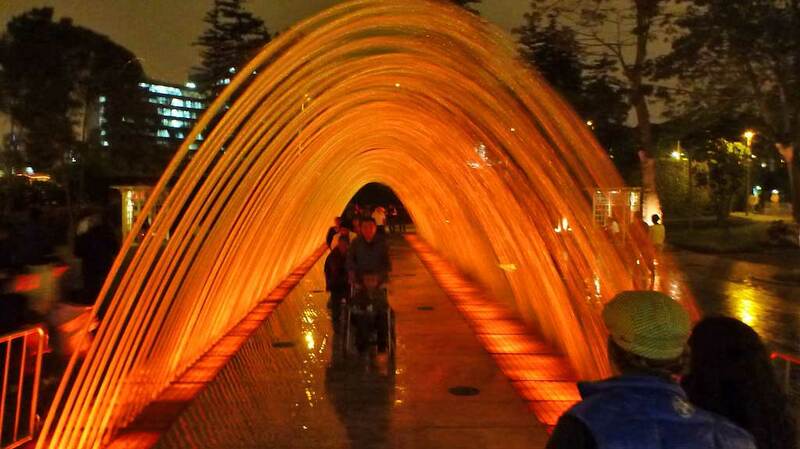 The Magic Water Circuit can be one of the highlights of a visit to Lima. It’s a rare opportunity to join the local people while they enjoy their city. 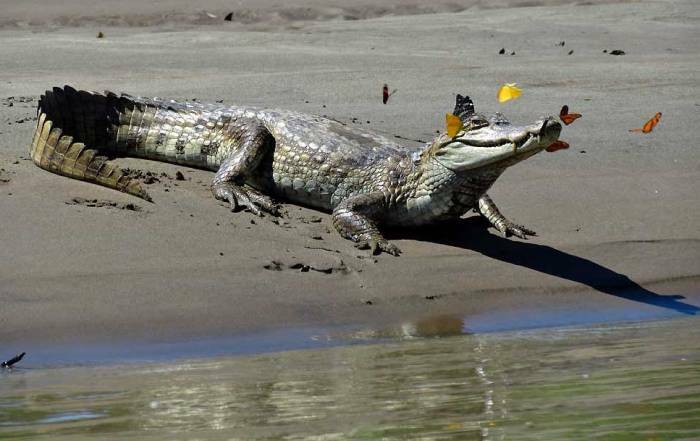 You won’t feel like a tourist here. 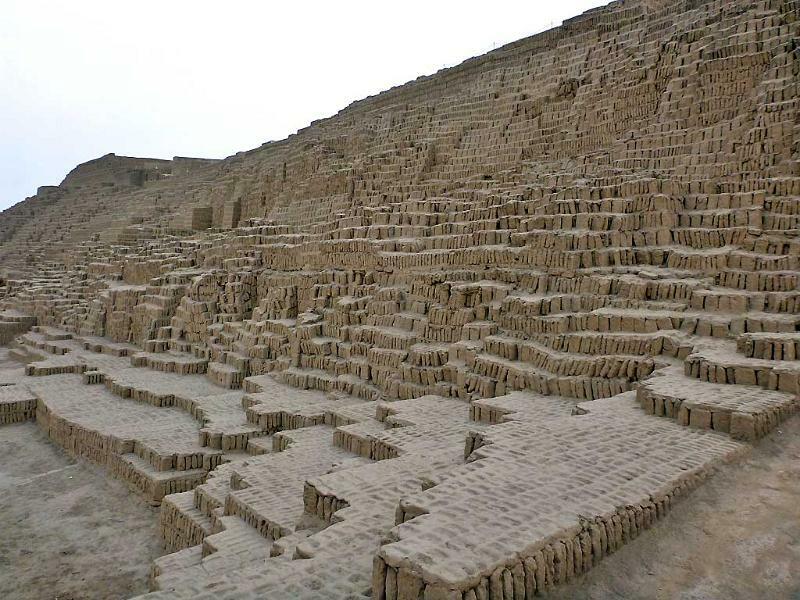 Huaca Pucllana and Huaca Huallamarca have pre-Incan ruins from the 5th century. 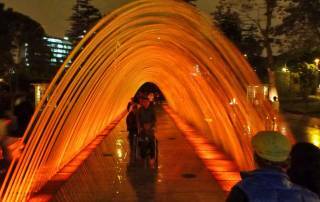 Central Park and adjoining Parque Kennedy with its artist market. Cerro San Cristobal – views of the city from this mountain. 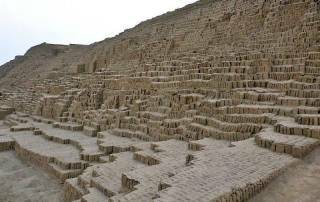 Visit the ruins at Pachacamac 20 miles from town. 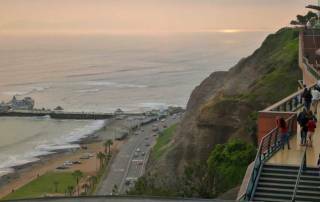 Despite being in a desert, the temperatures in Lima are moderated by the Pacific Ocean. Lima is slightly south of the equator, which reverses the seasons slightly . The height of summer is January – March when average highs are 83 F (28 C) and average lows are 68 F (20 C). The winter months from June through August are warm and sunny, but fog is persistent during these months. Winter highs average 68 F (20 C) and lows are 59 (15 C). 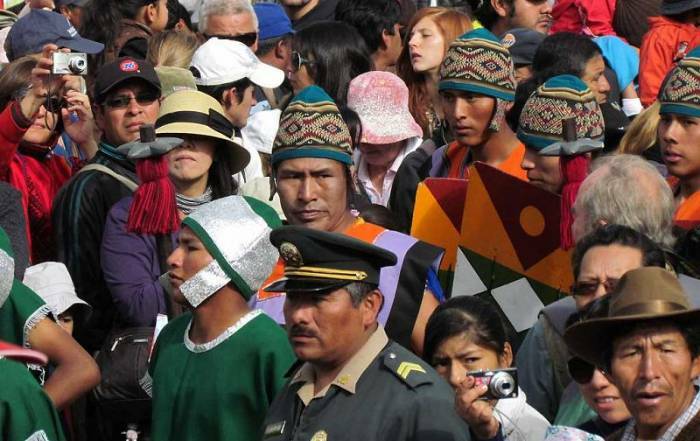 Most visitors are en route to Machu Picchu, so they don’t time their visit to Lima based on its weather. 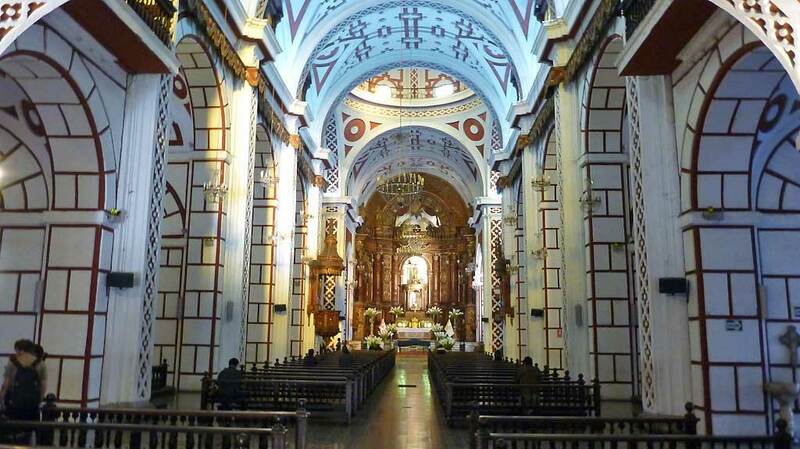 You have to go through Lima to get to Cusco and Machu Picchu. Lima is one of the few major cities in the world without a rapid transit system. Catch a cab from inside Jorge Chavez International Airport immediately after the customs and immigration are. You can arrange an “official” cab inside the airport. Pricing is posted at set rates. 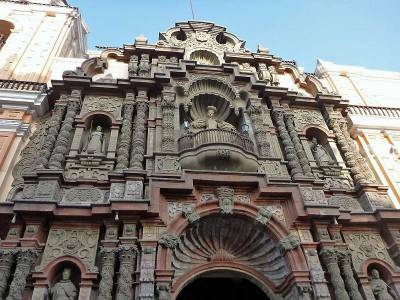 Most accommodation for Lima is in Miraflores / Larcomar, which is approximately a 45 minute cab ride. You can pay for the car at a set rate in US$ to Miraflores too (approximately $27 US$ in 2012). Make sure you confirm the rate, because most cabs don’t have meters It’s easy to catch a cab from Miraflores to the old town and the Plaza Mayor. The port for cruise ships is in Callao near the airport. 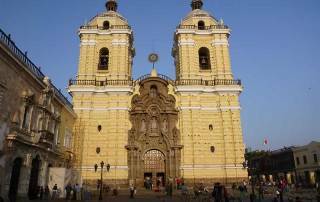 Francisco Pizarro founded Lima as the “City of Kings” in 1535. 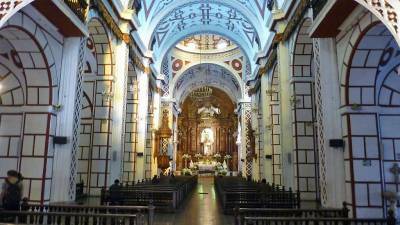 Pizarro is famous as the conqueror of the Incas for Spain. 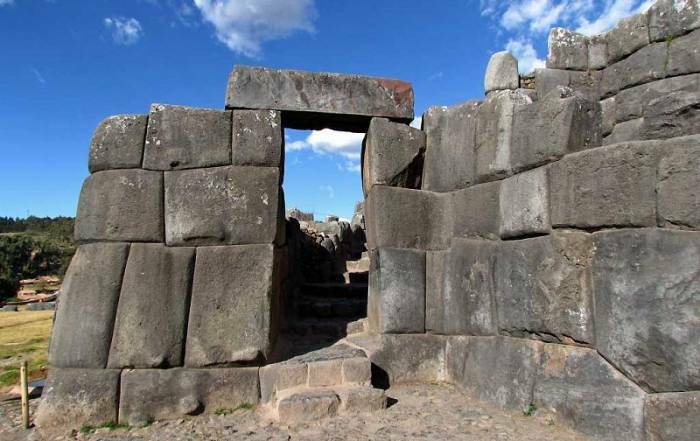 The Spanish buildings of the city were built over the top of Inca temples in order to destroy native history. 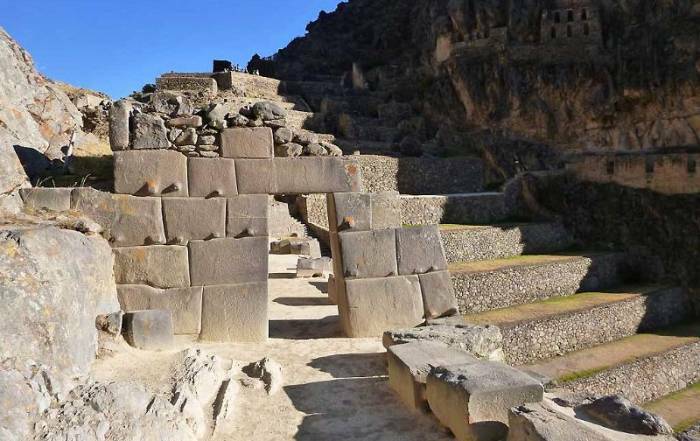 The pre-Inca5th century ceremonial sites of Huaca Pucllana and Huaca Huallamarca have survived in the San Isidro district. 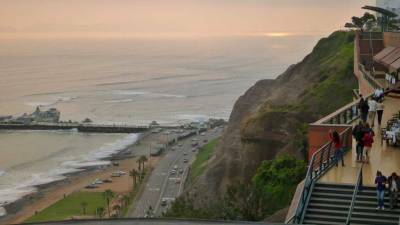 Today Lima is known as the Garden City and is one of the driest cities in the world. 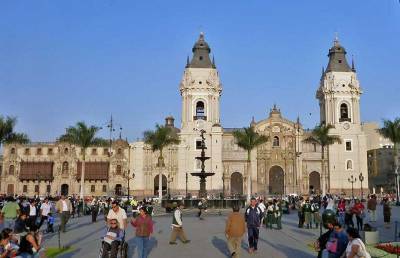 It is the capital of Peru and its largest city, with a population of nearly 3 million.